Bid Network Online (BNO.com) to Auction over 50 Classic Cars including a 1957 Porsche Speedster, a 1968 Corvette, and a truly unique 1934 Mercedes Benz 500K replica. BNO.com to expand offerings with the launch of monthly Classic Car Auctions featuring rare and collectible vehicles available to bidders worldwide with the world’s first interactive, live streamed auction network. Our debut classic car auction features some incredibly rare and valuable cars. We are really proud of the auction we were able to curate. Bid Network Online (BNO.com), the world’s first interactive, real time, live streaming online auction marketplace, will host monthly Classic and Collectible car auctions starting April 6th, 2016. BNO.com will feature some of the most treasured classics from private sellers located all across the US in a monthly live streamed online auction. Complete descriptions, photos and videos on all auction vehicles are available at BNO.com and pre-bids can be placed prior to each live auction date. 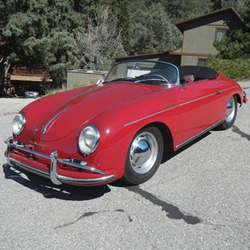 A 1957 Porsche Speedster that represents the last of the T1 body styling. Known for its signature Beehive tail lights and over rider bumper bars this classic car was designed specifically for the sunny US and top down driving weather. 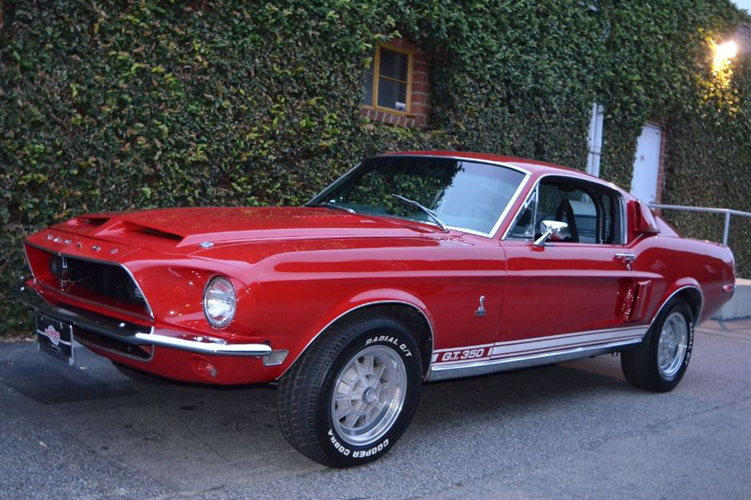 A 1968 Shelby GT350 Fastback in Candy Apple Red with Black interior. 1 of 1053 68 fastbacks #2613. 302/4 speed with factory extra cooling package, sports deck rear seat, power disc brakes, power steering, tilt. All original colors and equipment. Original engine (02J 185115). Very pretty body and paint. excellent underside, trunk and engine bay. Superb interior. Excellent mechanically and a delight to drive. A 1968 Chevrolet Corvette T Top coupe in Le Mans Blue with Medium Blue interior. With a numbers matching 427 engine, with the 4 speed transmission, this collectible will certainly turn heads. 91,503 miles; equipped with power windows, telescopic steering wheel, power brakes, makes this a car anyone can really drive every day. A 1972 BMW 3.0 CS in the original Verona exterior with Black leather interior. A beautiful restoration with original luxury features including Sunroof, A/C, 5 speed manual transmission upgraded from the 4 speed manual. 44,644 miles, a great value for any classic car collector. A 1936 Mercedes-Benz 500K Special Roadster (replica). This classic is absolutely a spectacular one of a kind reproduction. It is not a typical replica car. Interior is tan leather with black leather accent on interior of doors. Handmade burled walnut dash and door arm rests. Instrument panel accented by green abalone mother of pearl veneer surrounding gauges. Interior carpeted with Wilton wool black carpet with black leather binding, not plastic. 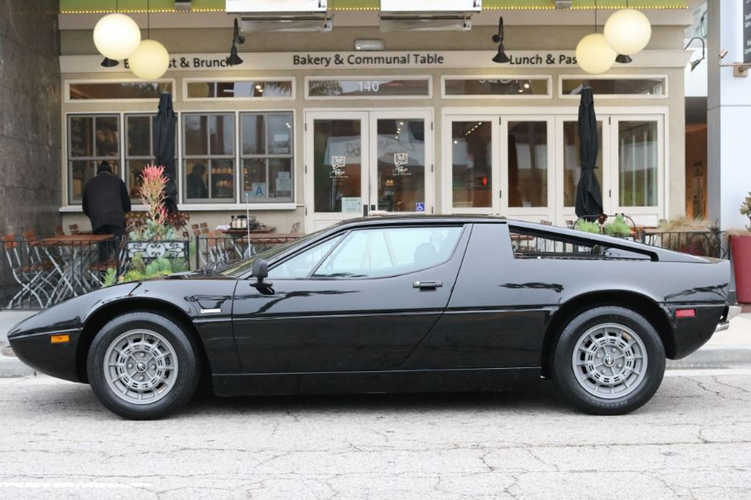 This car has been featured on the Speed Channel in the US and on Motorworks in Europe. 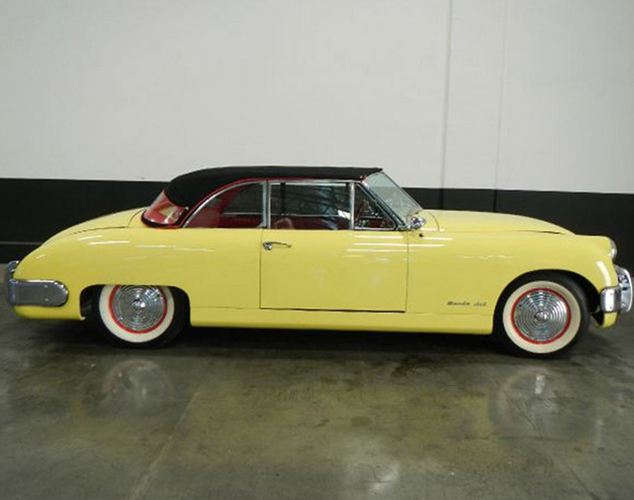 The 1953 Muntz Jet Convertible is one of two rare Muntz vehicles offered in this sale. The Muntz was created locally, in Glendale, California, by Earl “Madman” Muntz, a well-known local used car dealer and electronics retailer. Muntz, assisted by Frank Kurtis, produced a unique automobile with aluminum body panels and a removable fiberglass top – both which were manufactured in their Chicago factory. It was one of the first cars to achieve 112 mph and was featured on the cover of the September 1951 issue of Popular Science. Unfortunately, due to high costs, the company only produced about 400 cars during its time from 1951 to 1954, making this vehicle a rare and valuable collector piece. As with all BNO.com auctions, bidding is simple and open to the public. Bid Network Online (BNO.com) is a unique, new auction website where a professional auctioneer hosts a live entertaining auction streamed online in real time. It offers an exceptional user experience, combining the exciting feeling of being immersed in a live, brick and mortar auction, with a user-friendly online bidding platform, and proprietary features for pro-bidders. BNO offers auctions in a variety of different categories including: Creations (Art & Collectibles), Autobahn (Automobiles), Real Estate (Land & Properties), and Charity (Fundraiser Auctions).